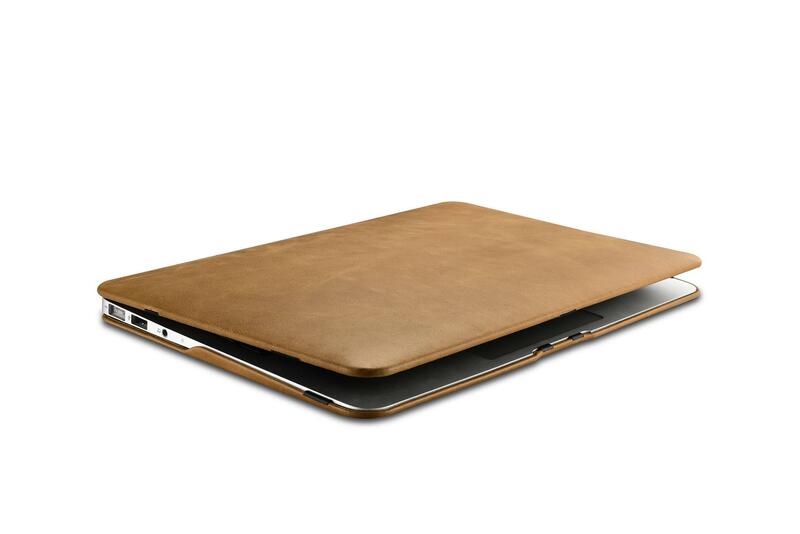 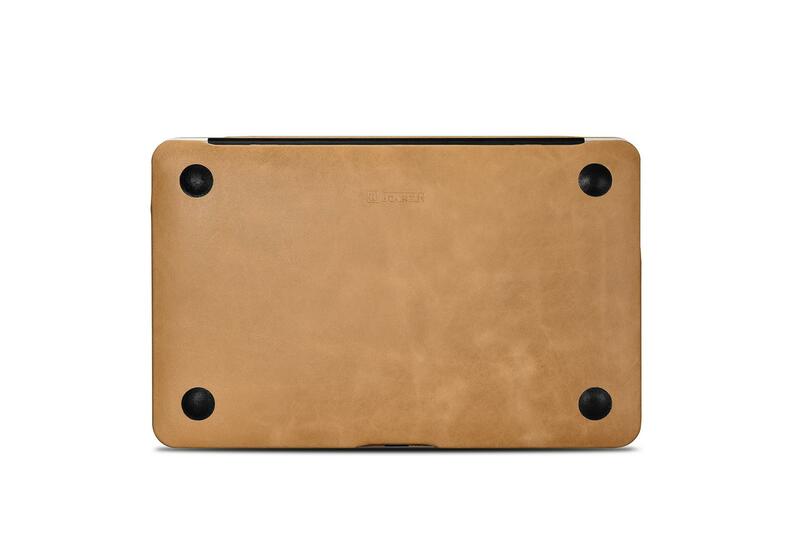 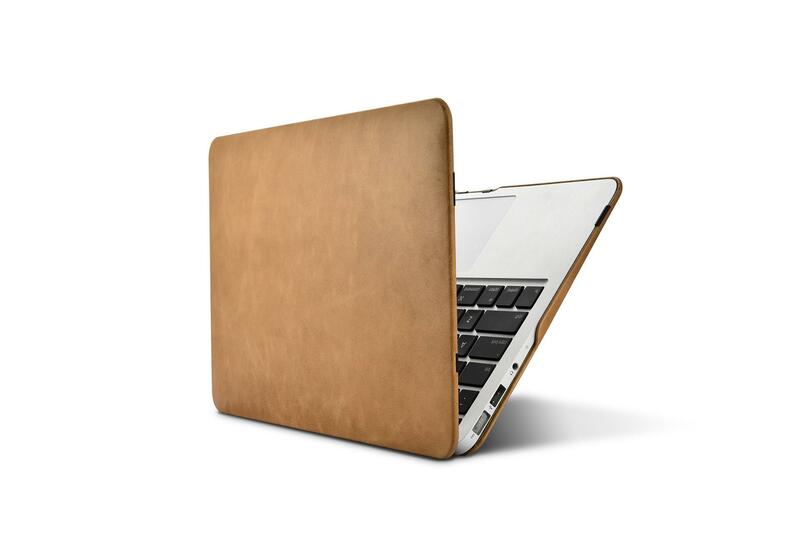 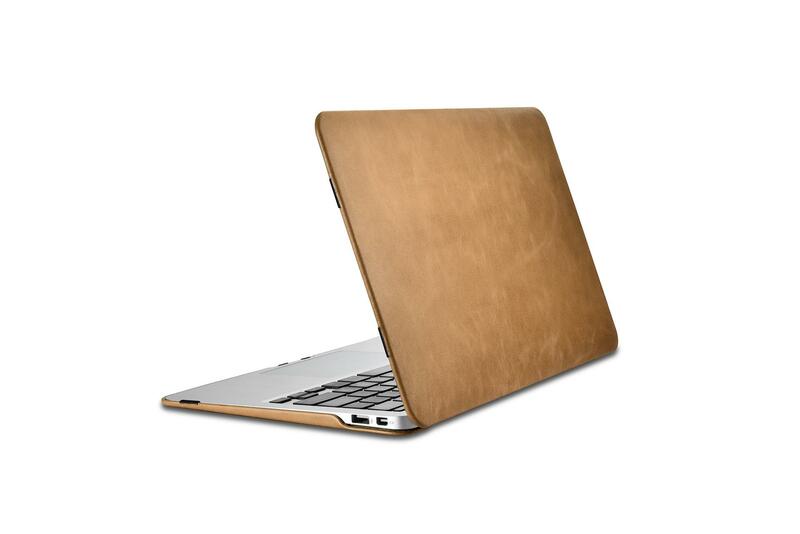 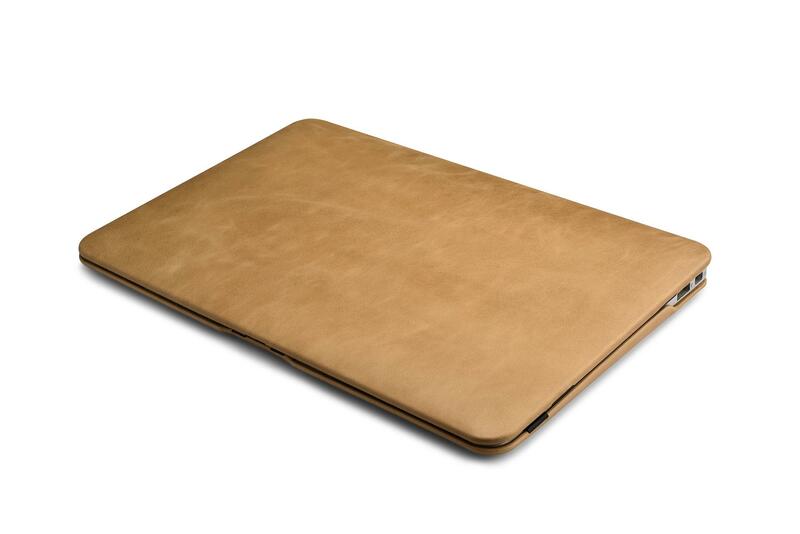 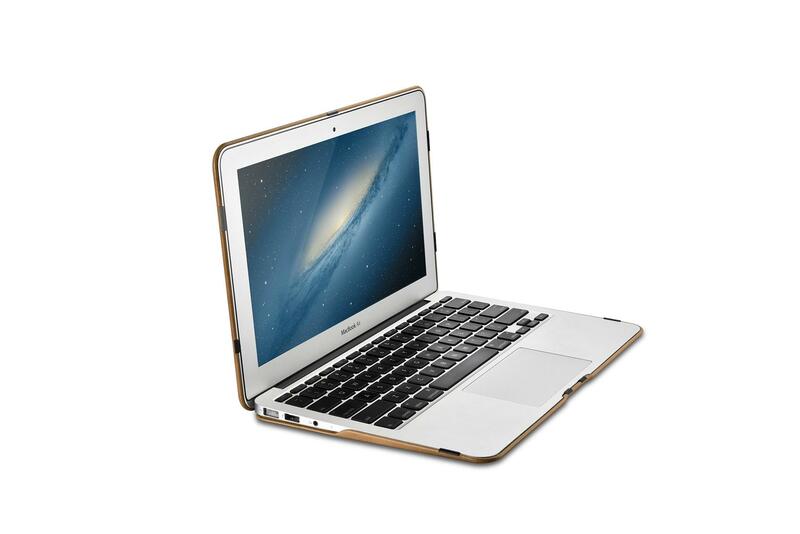 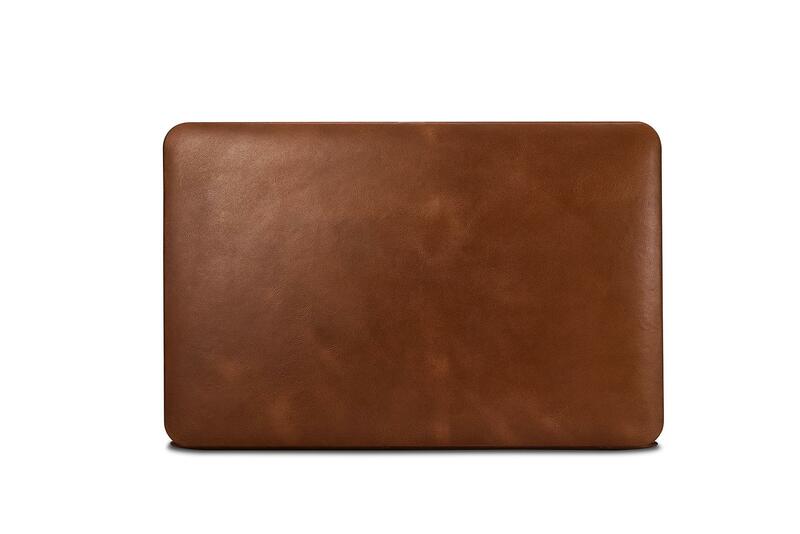 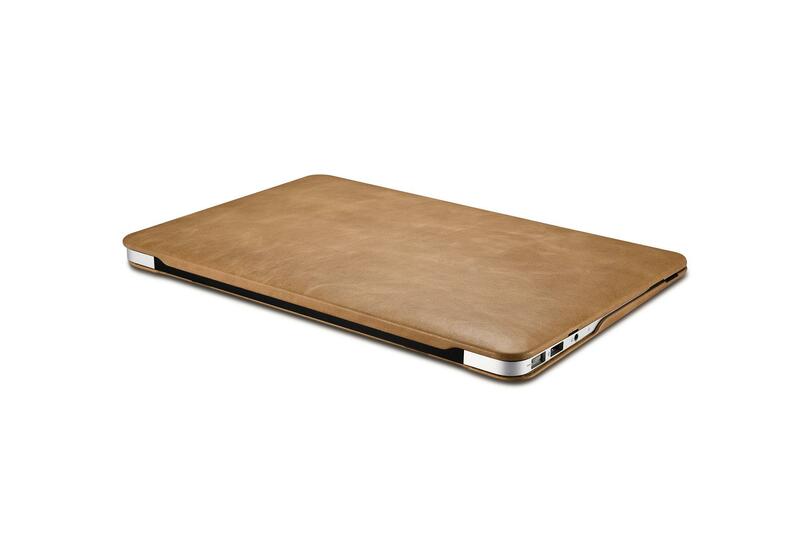 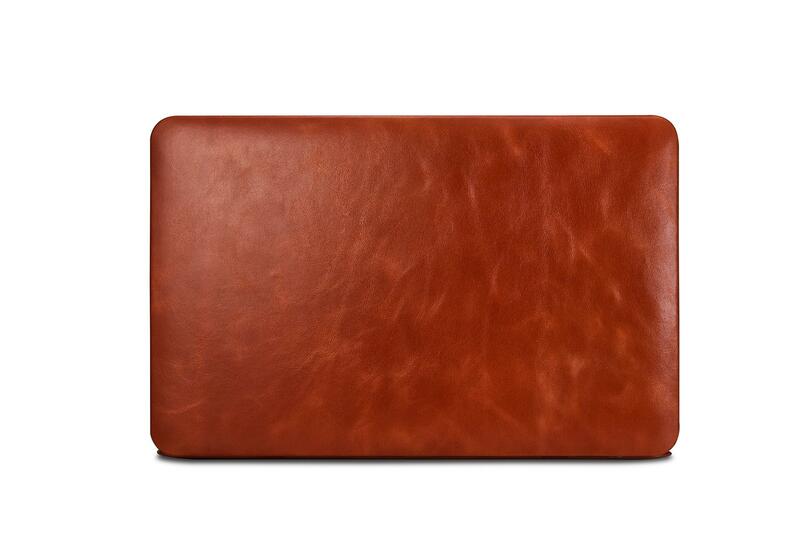 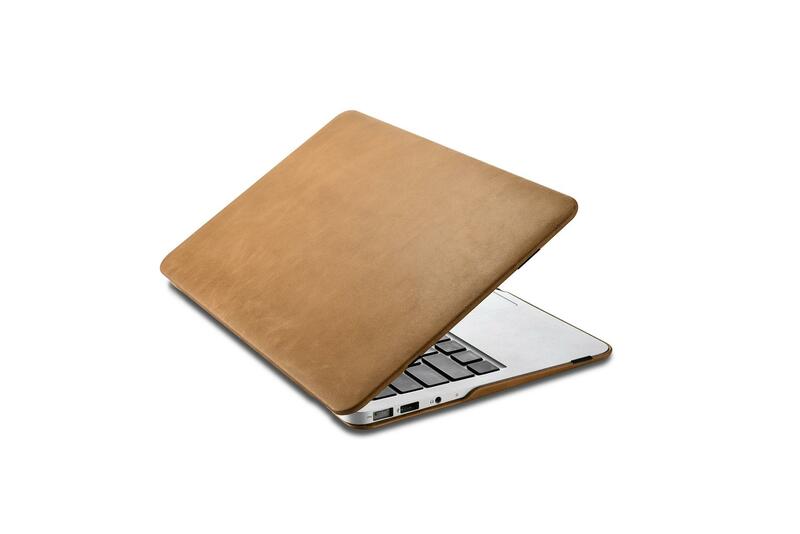 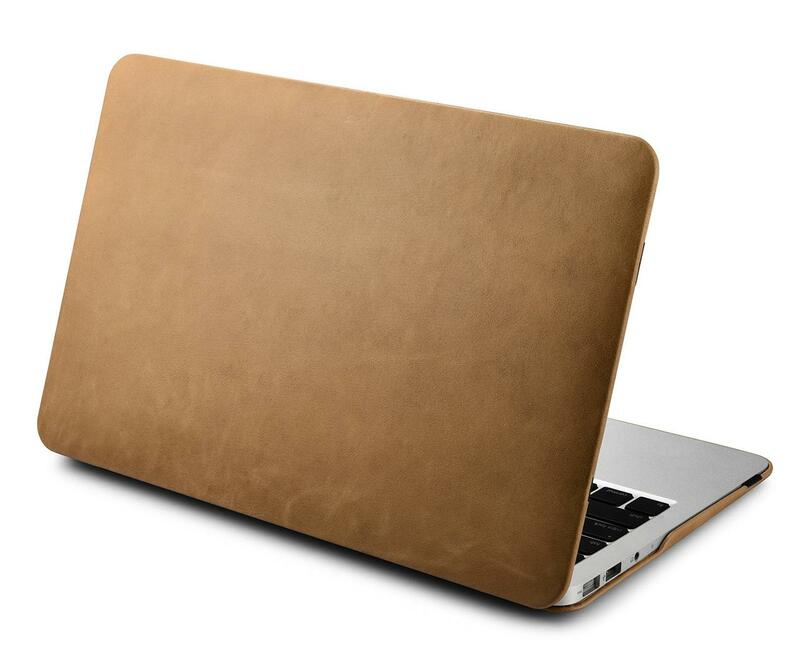 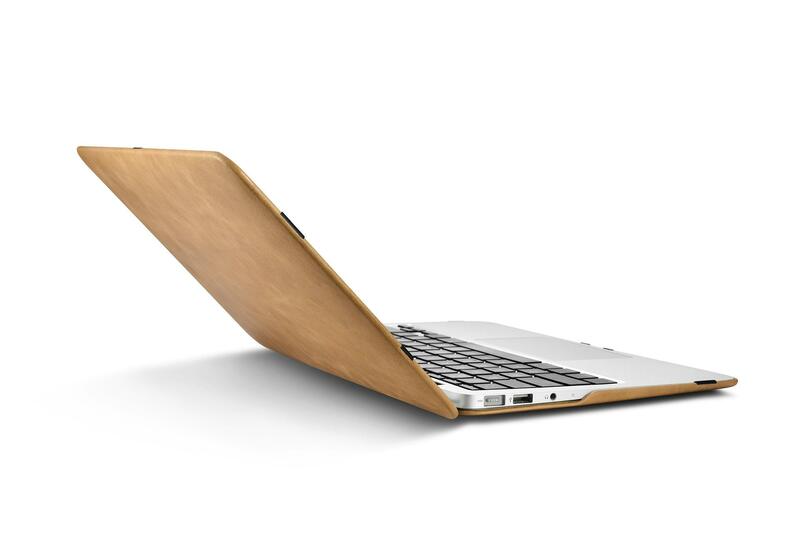 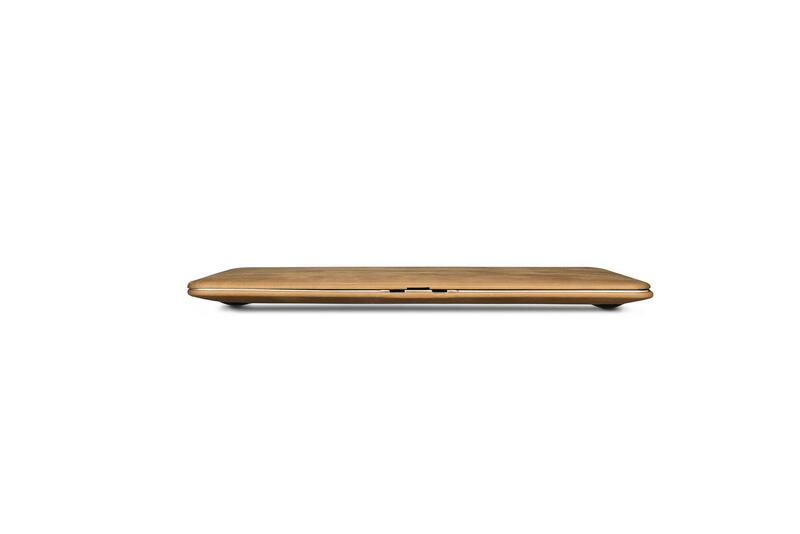 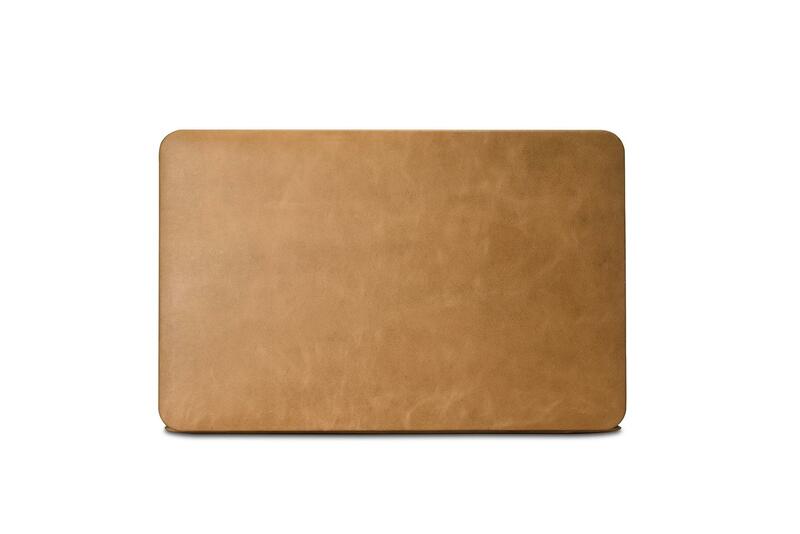 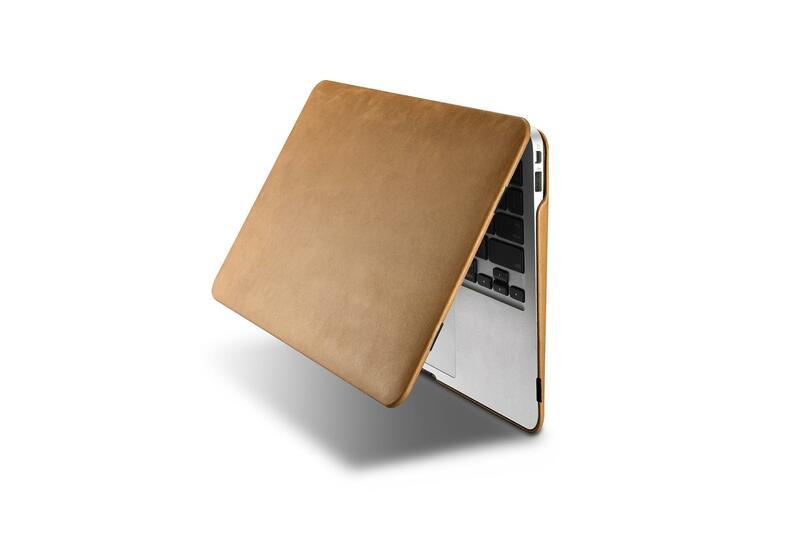 iCarer MacBook Air 11 inch Vintage Book Style Slim Folio Case is made of ultra-slim genuine cowhide leather with ICARER creative deisgn. 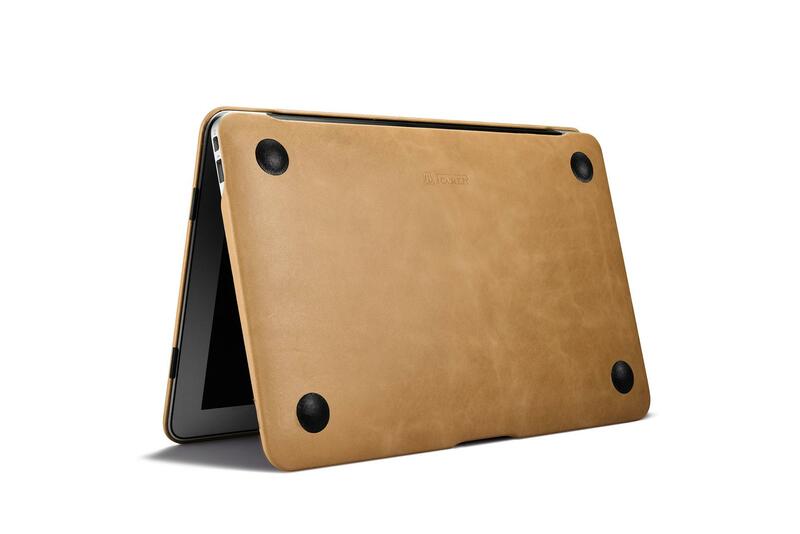 Detachable up and bottom cover easier to use. 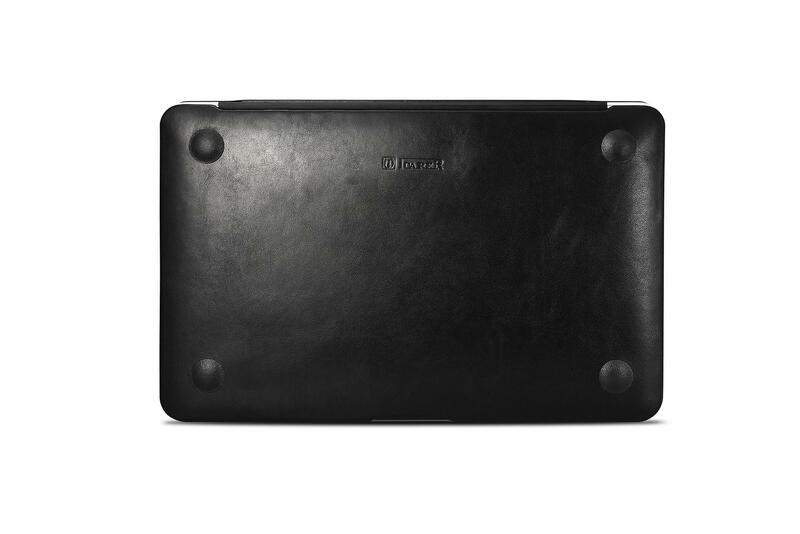 The bottom cover with 4 small black plastic foot pad not only protects the cover from scratching and also from the cover removing easily. 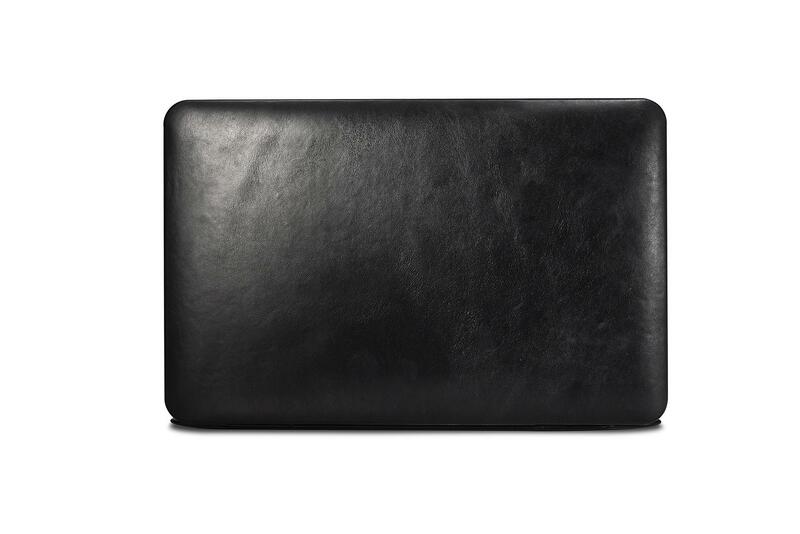 The edge of the cover with black plastic blocks to fix the computer and the cover. 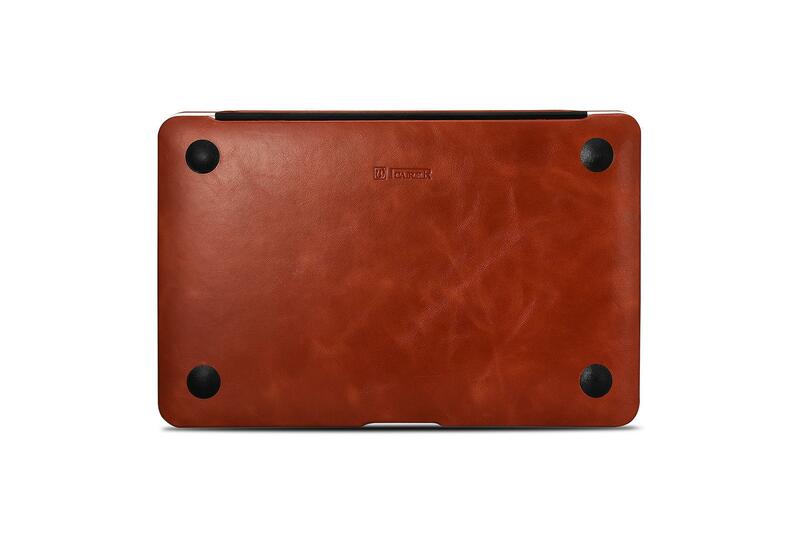 Four Colors: black, brown, red, and khaki.